The Pathway program is no longer accepting students. The Pathway at The University of Texas at San Antonio is at the service of the students from the high schools of San Antonio and surroundings. What is the mission of the Pathway? Provide the students from the high schools with an educational program that will assist them in becoming competitive applicants to a health professional program in Allied Health, Dentistry or Medicine. Shape their future health professional identity. Promote the professional ethics and social responsibility of the students. How does the Pathway accomplish its mission? Recruits high school students prior to their junior year. Retains the student until high school graduation with a program of learning activities that serve the students to begin building their health professional program application portfolio, their identity as future health professionals, their personal ethics and their social responsibility. Recruits them into the UTSA. Retains them at the UTSA with a program of activities that continue to serve the students by strengthening their health professional program application portfolio, their identity as future health professionals, their personal ethics and their social responsibility. Readies them for completing their application to a health professional program by offering them Standardized Test preparation, application tutorials and simulated interviews. Where do Pathway activities take place? At The University of Texas at San Antonio – Downtown Campus located at 501 W. Cesar E. Chavez Blvd., San Antonio, Texas 78207. When do Pathway activities take place? During the school year on weekends that do not interfere with the regular school curriculum. During the summer when the students (rising juniors, seniors, and UTSA freshman) attend 6 weeks, problem-based curriculum. Participating students receive a stipend. Who is implementing the Pathway? Office of the Health Professions. Department of Interdisciplinary Learning of the College of Education. The Policy Studies Center of the College of Public Policy. Who is funding the Pathway? The Pathway is funded by the Health Careers Opportunities Program (HCOP) the Health Resources and Services Administration of the US Department of Health and Human Services and the in-kind support of all of its partners. For more information, please contact Dr. Miguel Bedolla (Director) at 210-458-2086 or email us at Pathway@utsa.edu. 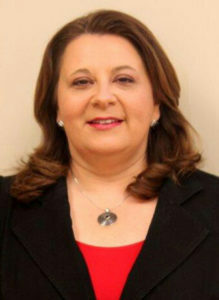 Dr. Vangie Aguilera began her teaching career in the San Antonio Independent School District. 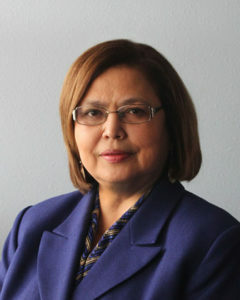 During her tenure at SAISD, she served as bilingual education teacher, special education program supervisor, secondary school principal and Senior Executive Director for the Department of Special Education. Most recently, she joined the faculty of the Department of Educational Leadership and Policy Studies as the Assistant Professor of Practice at UTSA. Her focus is to help prepare school leaders to transform education. Dr. Aguilera is a frequent presenter at has at state, national and international conferences. She has made extensive contributions to the work of several community boards and professional organizations including the Mayor’s Commission on the Status of Women, the KLRN Community Advisory Board and the Board of San Antonio 100. She currently serves on the Board of Urban Collaborative for Special Education Leadership and on the Board of the San Antonio Women’s Hall of Fame where she was a 2012 inductee. Dr. Aguilera is the recipient of several awards including the Community Champion Award -Bexar County Consumer and Family Support and Key Woman Educator-Delta Kappa Gamma-Theta Beta Chapter. Dr. Jude Valdez is Vice President for Community Services at the University of the Texas San Antonio where he oversees the University’s outreach services and extension programs, including the Institute for Economic Development, Institute of Texan Cultures, PREP Program, P-20 Initiatives, Office of Community Outreach, Office of Extended Education/Special Events, UTSA Mexico Center and the Child and Adolescent Policy Research Institute. He was responsible for the planning and development of The University’s Downtown Campus. While Dr. Valdez’ principle duties at the University of Texas at San Antonio are in the area of administration, he has taught and continues to teach in the department of Management. Dr. Rogelio Sáenz is Dean of the College of Public Policy and holds the Mark G. Yudof Endowed Professorship at the University of Texas at San Antonio. He is also a Policy Fellow of the Carsey School of Public Policy at the University of New Hampshire. Sáenz has written extensively in the areas of demography, Latina/os, race and ethnic relations, inequality, immigration, public policy, and human rights. He is the co-author of Latinos in the United States: Diversity and Change (Polity Press) and Latino Issues: A Reference Handbook (ABC-CLIO Press); he is also co-editor of The International Handbook of the Demography of Race and Ethnicity (Springer Press) as well as Latina/os in the United States: Changing the Face of América (Springer Press). Sáenz is Past-President of the Southwestern Social Science Association and is Past-Chair of the Council of the Inter-University Consortium for Political and Social Research (ICPSR) at the University of Michigan. Ms. Eyra A. Pérez has more than 25 years of experience in college access and success, program development and management, building and sustaining partnerships and collaboratives, collective impact, and grant and fund development. Her professional experience includes work in higher education, K-12 education, and the non-profit community base organization sector. Most recently, she served as executive director of the San Antonio Education Partnership where she led the implementation and coordination of San Antonio’s college access and opportunity center, cafécollege, and the city-wide collective impact Latino Student Success effort, Diplomás. Currently, she is Chief Executive Officer of Partners for Educational Engagement and Senior Associate for Excelencia in Education.